Daniel O. Bernstine, the dean of University of Wisconsin Law School from 1990 to 1997, has passed away. He was 69. Before serving as dean, Bernstine was the first graduate of the William H. Hastie Fellowship Program at UW Law, where he received his LL.M. in 1975. He began his legal career as a staff attorney with the U.S. Department of Labor. He later served as general counsel at Howard University and as professor and interim dean at Howard University School of Law. After leaving his post as dean of UW Law, Bernstine served as president of Portland State University in Portland, Oregon, for ten years. 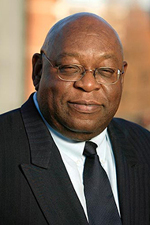 At the time of his death, Bernstine was the president of the Law School Admission Council (LSAC), which administers the Law School Admission Test, along with a wide array of admissions services for law school applicants. Bernstine was UW Law School’s twelfth dean, and its first African American dean. During his tenure here, he was highly regarded for his administrative talents, his dedication to students, and his success at recruiting top-notch faculty.